Well here’s a nice surprise. Coffee Stain Studios’ inexplicably entertaining goat simulator game, titled Goat Simulator, has just launched in the New Zealand App Store. Coffee Stain announced on their Twitter yesterday that Goat Simulator for iOS and Android would be launching on September 18th. As TouchArcade regulars know by now, when a game is scheduled for a Thursday launch, it actually hits the US App Store late Wednesday night at 11pm EST. Prior to that, it hits the NZ App Store on Wednesday morning at about 6am EST, when it’s midnight in that territory. So what the heck is Goat Simulator doing launching in NZ on a Tuesday afternoon? I don’t know! I don’t ask questions, I just download Goat Simulator like a good boy. I suspect that Coffee Stain might have just had an itchy trigger finger and flipped the release switch a bit earlier than planned, or there was a mixup with scheduling its release date, or any other number of things which has provided the world with Goat Simulator sooner than expected. If you’re in New Zealand, you should be able to grab the game with the link below, but if you’re in other territories, also try the link and see if it’s available for you. If it is, let us know in the comments. Otherwise we’ll keep our eye on Goat Simulator and will post an update to this story (or possibly a new story) when and if the game lands in the US App Store later in the day. 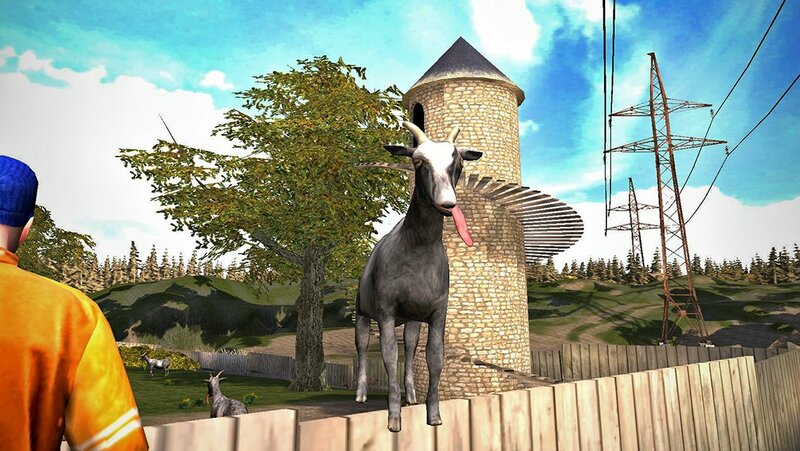 Update: Goat Simulator has indeed launched a day early. Goats don’t mess around, they don’t have time to waste. You can grab the game from the US store or anywhere in the world using the link below. Forum impressions can be found here.